AdHang team consists of digital communications strategists who can help your agency, business or institution to create awareness, enlighten the public, and persuade a target audience to take actions. Having existed for over ten years in Nigeria, AdHang has the experience, tools and technologies to effectively reach all kinds of audience in Nigeria and Africa. As a result, AdHang‘s digital communications strategists have been assisting entities in Nigeria and outside the country to plan and carry out digital strategies and communications in Nigeria and around Africa. As the leading Digital communications strategist, and the first internet public enlightenment agency in Africa, the primary purpose of Adhang.com is to consistently deliver International standard levels digital communications campaigns, results beyond its client’s widest dreams and expectations, and value that is so extraordinary organizations rave about Adhang.com for years to come. Whether your organization is interested in warning public about a danger, educating masses on their obligations, or reminding them about an issue, etc; AdHang has communications strategists in Nigeria to help strategize, carry out digital communications planning, select best sites, create campaigns, and embark on the enlightenment. All campaigns from AdHang follow global code of conduct & principles that maintain high ethical standards; also, AdHang will professionally embark on the public communications in a such a way that is accurate, complete, and clear and design to promote credibility and trust by the Nigerian general public and stake holders. The strategies and tactical approaches AdHang uses are many and varied, depending on the enlightenment duration, budget, etc. 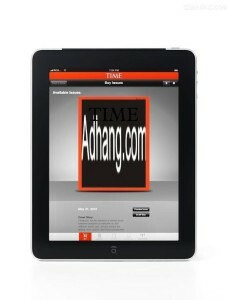 Generally, AdHang will create multiple digital adverts, design all the communications tools and employ assorted digital communications channels such as social media using sponsored and share posts; internet display using above and below the folder internet banners; content marketing using videos, info-graphics, cartoons, and online articles; influencers using bloggers and opinion leaders through their websites; mobile marketing using responsive images/photos that integrate into Iphones, feature phones and tablets; search engine using organic and sponsored display in sites like google, yahoo, live, AOL and so on. Lastly, digital communications strategists in Nigeria from AdHang employ state-of-the-art internet technologies to stimulate actions and achieve communications objectives and goals quicker and easier. It is important to state here that AdHang’s communications strategists are consist of international communications certified professionals, and experienced in the use of advanced communications techniques. These communications strategists will dedicate to your entity public communication success around the internet space. Click here to see complete communications approach, how to hire the agency, or ask questions.